Articles, videos and social media posts on the internet have called out certain people as not Libertarians. I am sure even a causal user of the internet has seem some of these. Many are directed at Gary Johnson and Bill Weld, but others seem to be used against anyone who has made statements with which the poster does not agree. In rebuttal, I reintroduce the Freedom Train concept that I first heard from David Bergland, the 1984 presidential candidate of the Libertarian Party. I searched for a reference about Bergland’s Freedom Train with little success, but did find an article by my friend Brian Wright that mentions it. David Bergland during his Libertarian Campaign for president in 1984 popularized the metaphor of the ‘Freedom Train’ as a marketing tool: “Freedom is one thing you cannot have unless you’re willing to share with others. We all want to be free to do something in life. So climb aboard the Freedom Train and we’ll take you as far as you want to go. Others may want to proceed to subsequent stops, and we can all live and let live about that”. 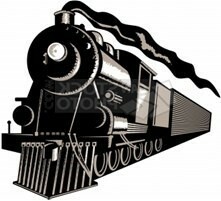 Lets encourage everyone to get on our Freedom Train. If they want to get off at a earlier stop than you, then don’t denounce them, but rather thank them for sharing part of the ride. I am willing to call everyone a Libertarian who agrees they are on the Freedom Train, until they decide government is small enough and moral enough that they get off. One problem with the Freedom Train metaphor is that it makes it seems there is only one way to get to Freedom, so lets broaden the concept to a multi-path system, where there is not just one way to get to the destination. Anybody got a suggestion what to call the multi-path paradigm?